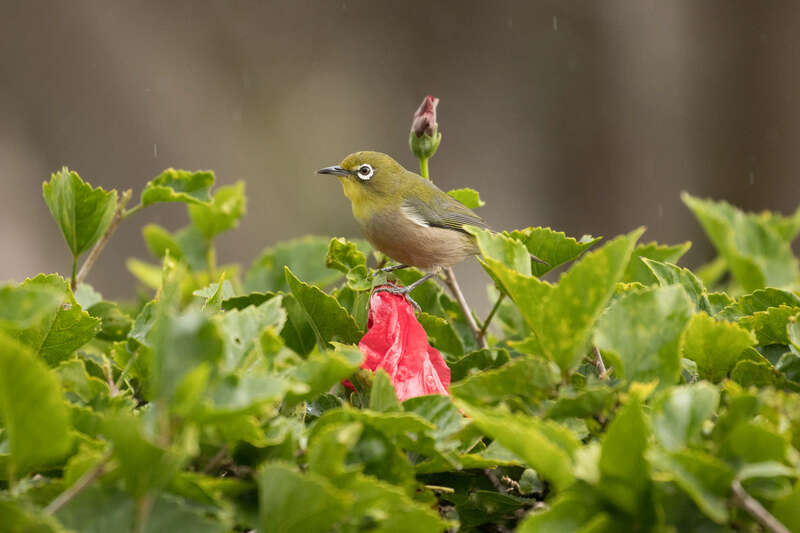 Our second day on Oahu started with Pancakes and Waffles and a side of parking lot birds- Common Mynas and Japanese White-eye! 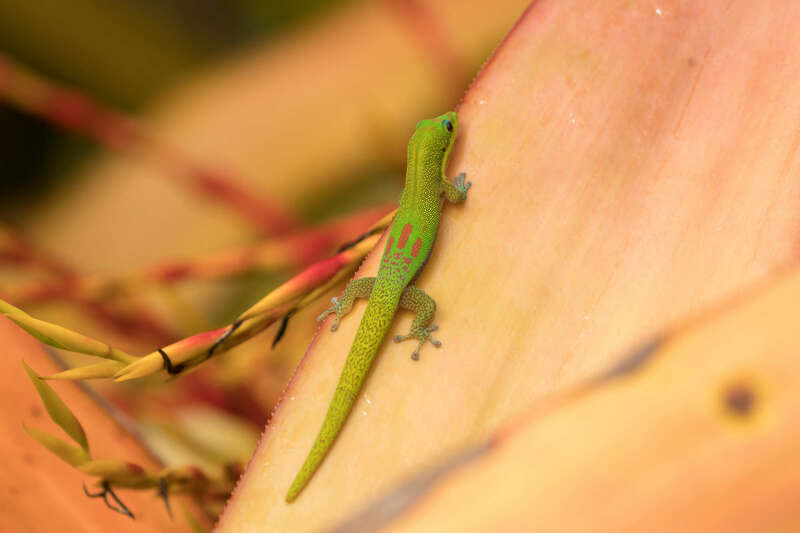 Because the morning was still overcast and rainy, we decided to check out Wahiawa Botanical Gardens. 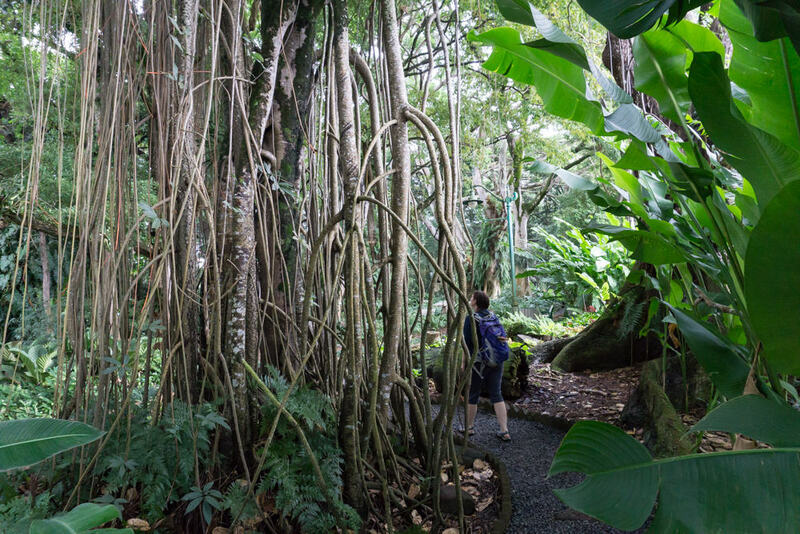 Most of the botanical gardens on the island are free or very low admission. This one was a neat jungle in the city. 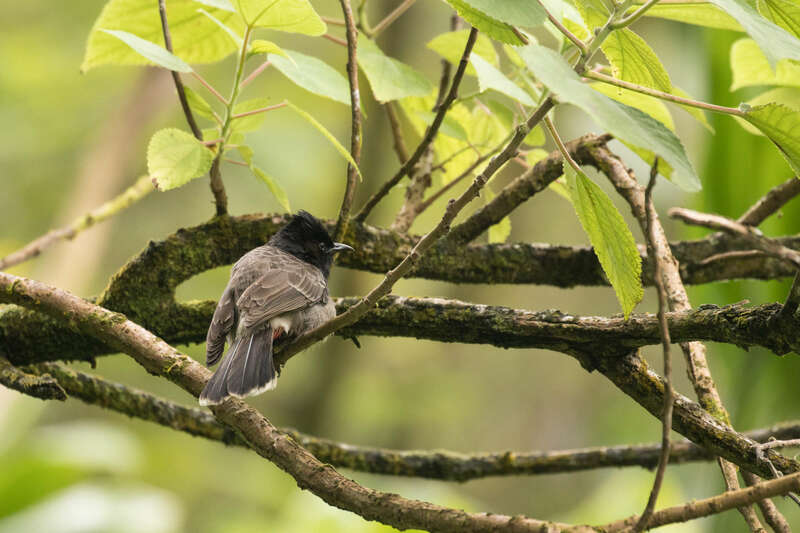 With some neat resident birds, including both types of the Island’s now established Bulbuls (introduced as a result of an unauthorized cage-release in the 50’s and 60s). 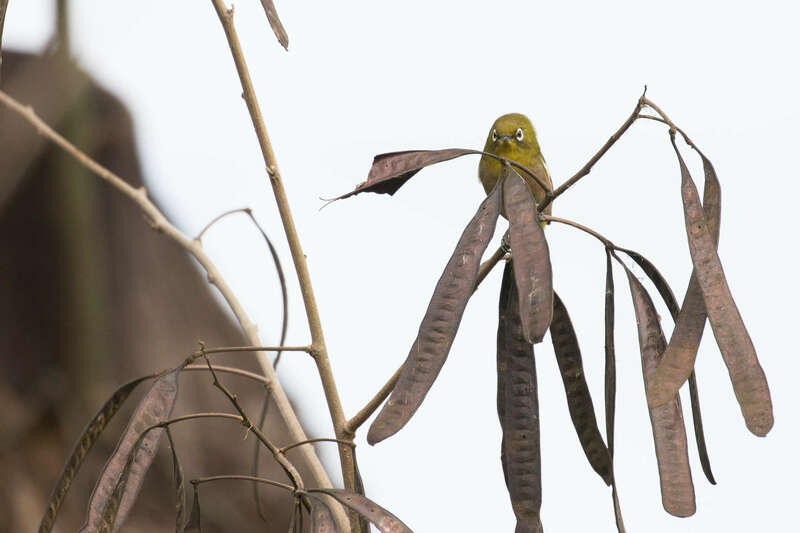 They are gregarious, noisy, and fun to watch. 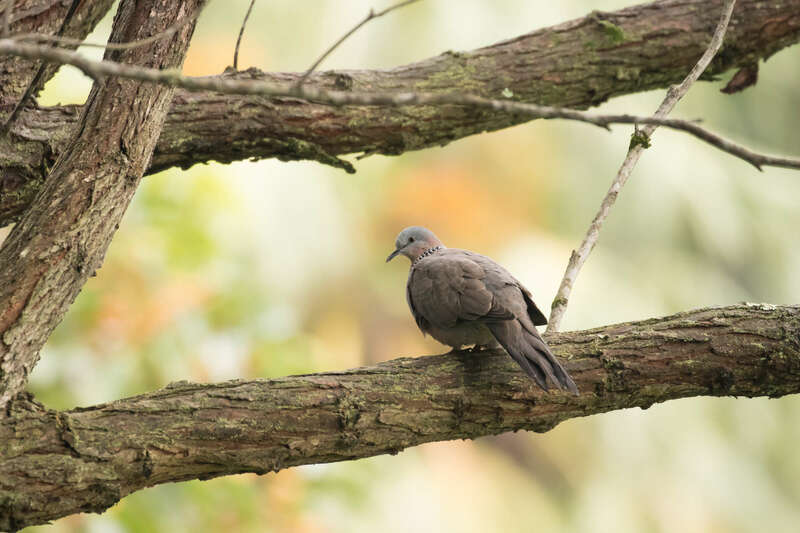 And we saw a pretty Spotted Dove. Then I heard it. 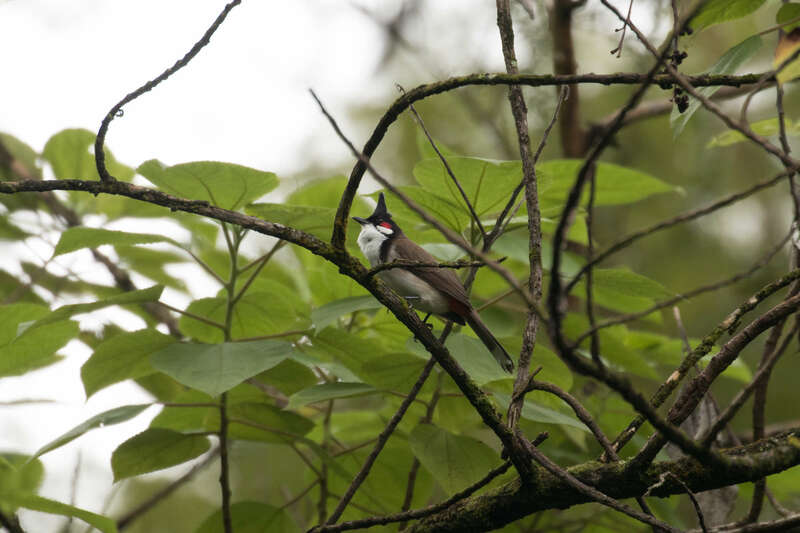 The song I’d hoped to hear but didn’t expect to, and certainly not in a city park. 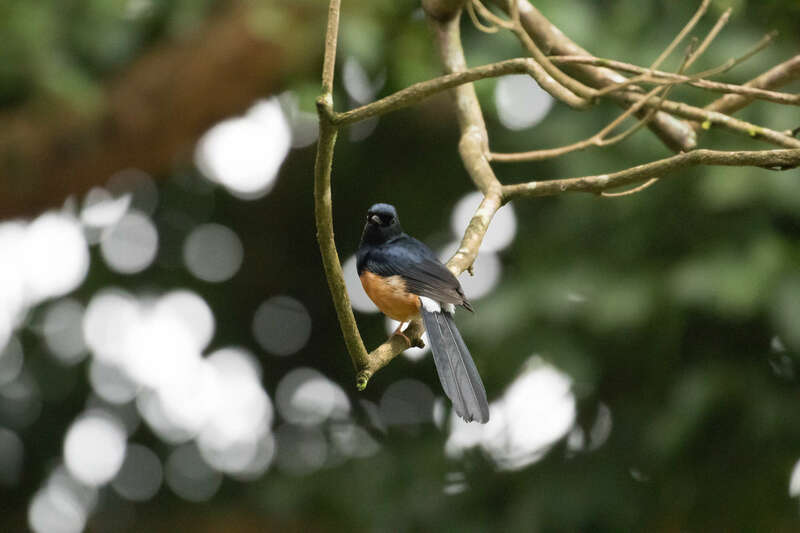 “Usually well hidden in dense vegetation,” the White-Rumped Shama! Out in the open! 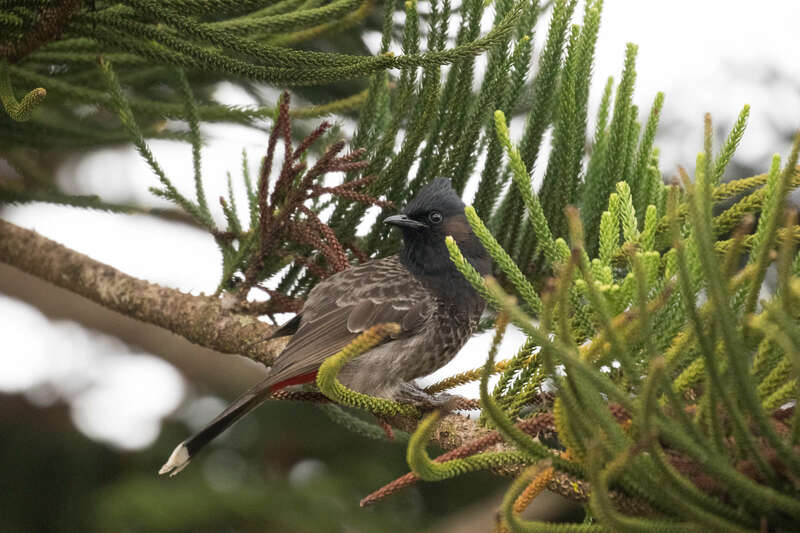 A thrush with a rich song, a long tail, and yep, a white rump. 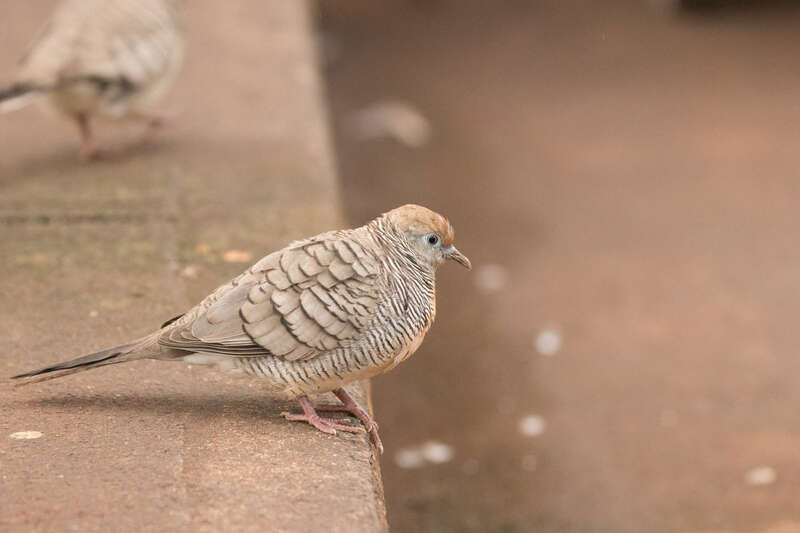 I couldn’t believe this was a day 2 bird. I could relax a little. 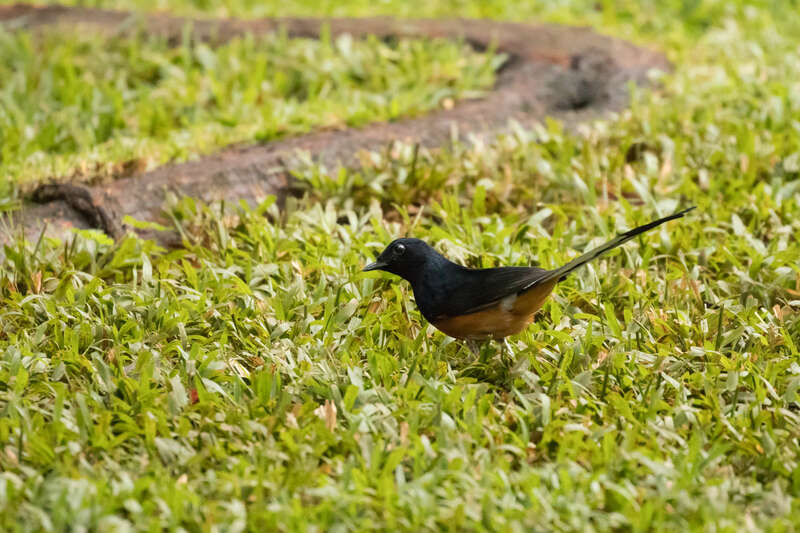 And enjoy watching the shama hop to the grass and hunt for food before moving on to our next destination. The Dole Pineapple Plantation. There are few touristy places I will put up with, and this is one of them. 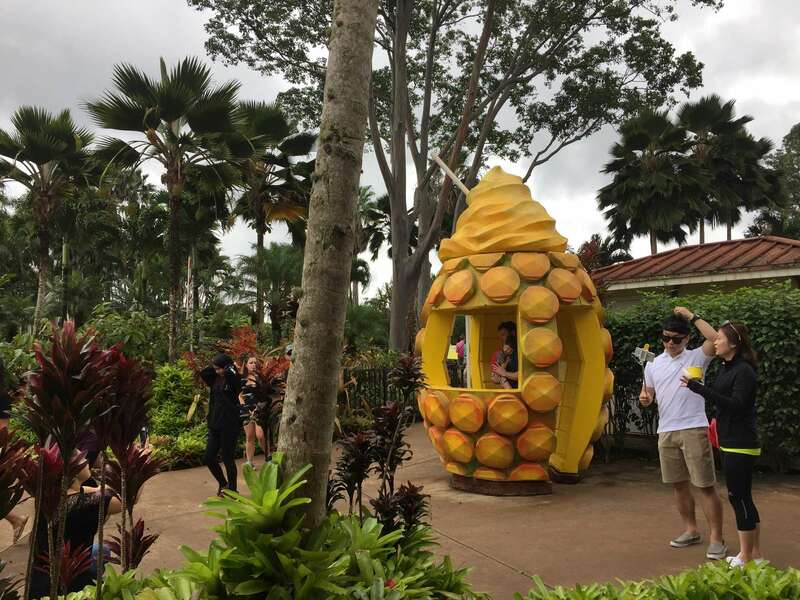 Beyond the selfie-sticks and giant plastic pineapples lives the Dole Whip (whhhhhip). I am a sucker for pineapple flavored soft-serve. 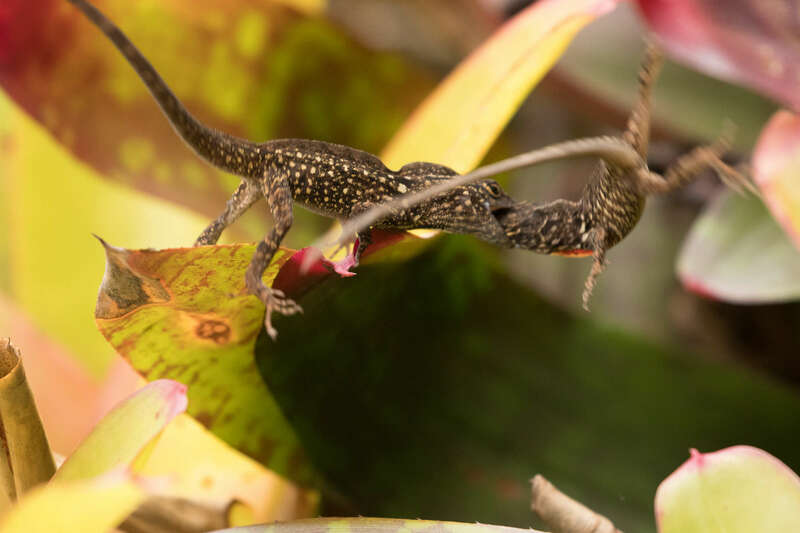 While enjoying our non-dairy desserts we watched lizards do battle. 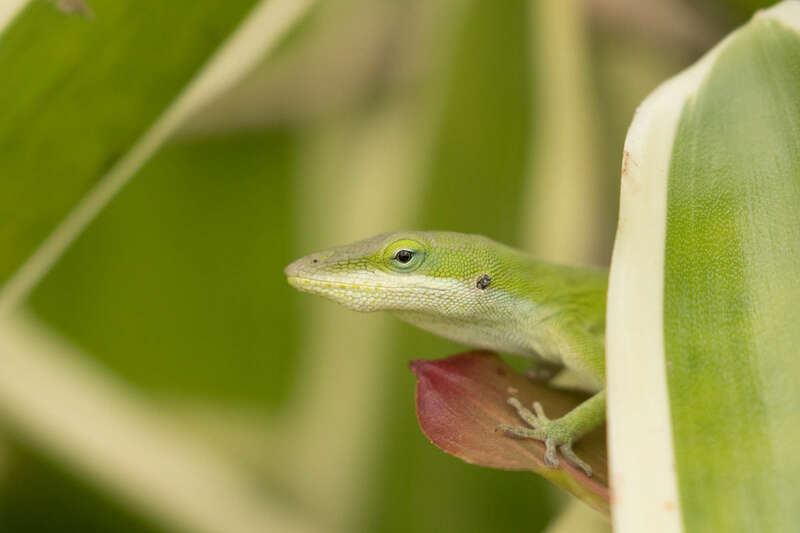 Green Anoles peek their heads out. 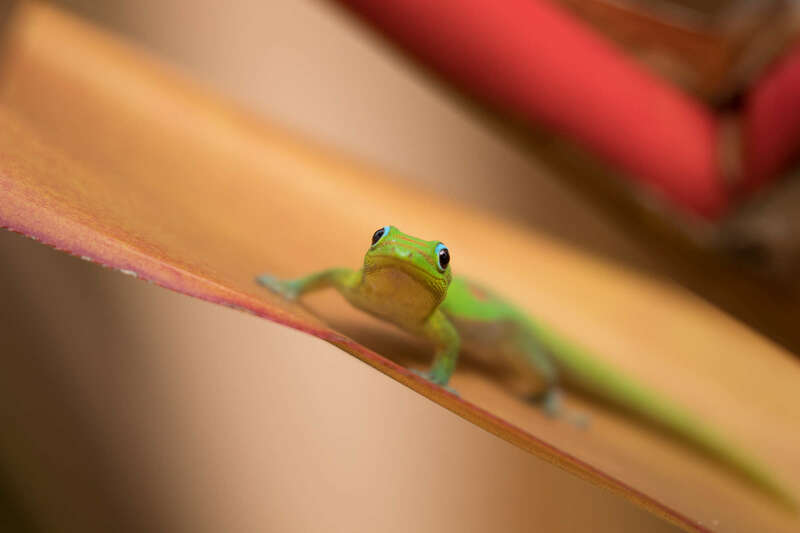 And we chased Gold-dust Day Geckos around the landscaped plants. 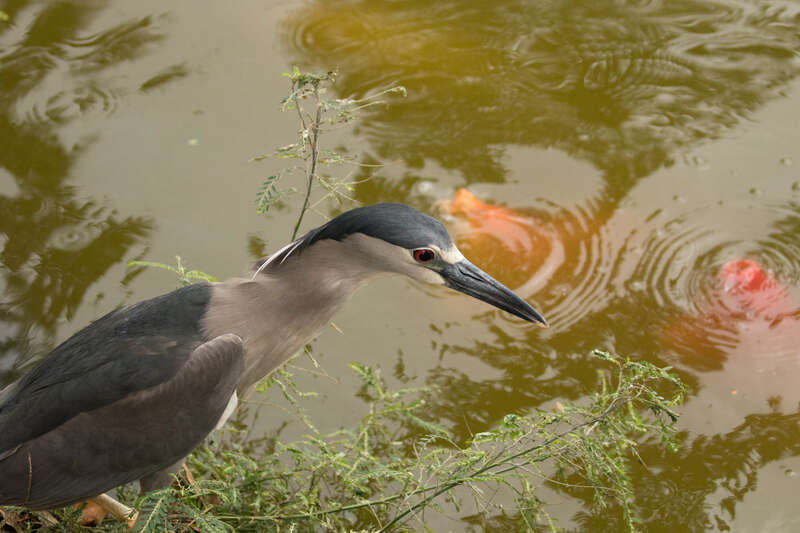 We also came across an ambitious Black-crowned Night Heron at the Koi feeding pond. Dang. Those fish were huge and the bank was steep. Set up intentionally, I think, to keep birds like this one from eating the kiddo’s entertainment. So close, yet so far away. 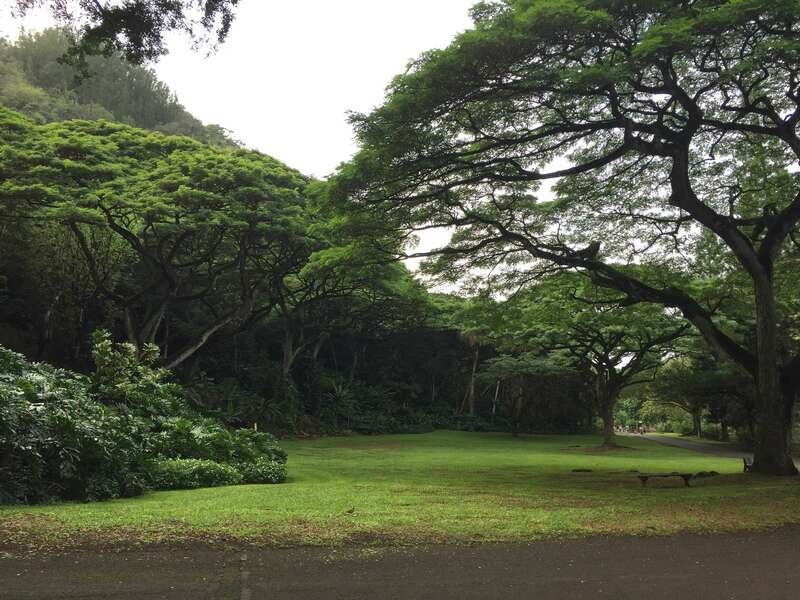 The day was still young, so we headed to Waimea Valley next. Where I meet a lovely new shorebird. 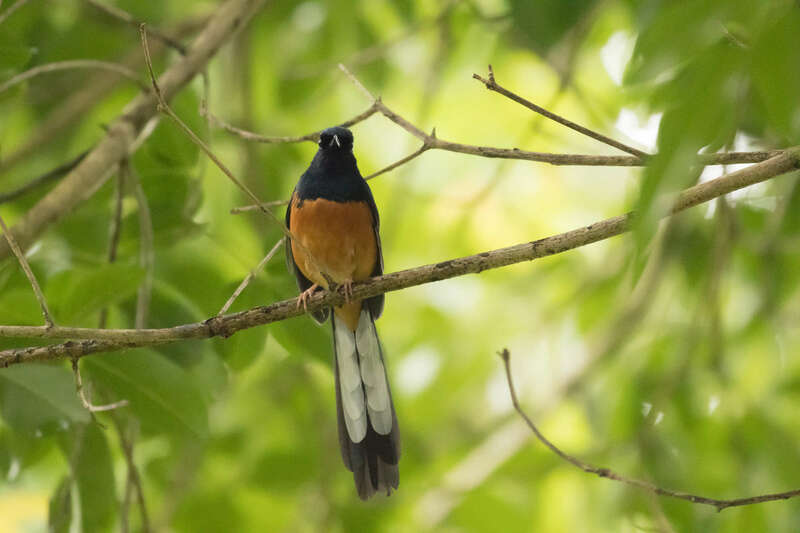 This entry was posted in Birding Trips and tagged Black-crowned Night Heron, Japanese White-eye, Red-vented Bulbul, Red-whiskered Bulbul, Spotted Dove, White-rumped Shama, Zebra Dove by audge29. Bookmark the permalink. Hmmm dole whip sounds tasty. Not as tasty as that shama though! 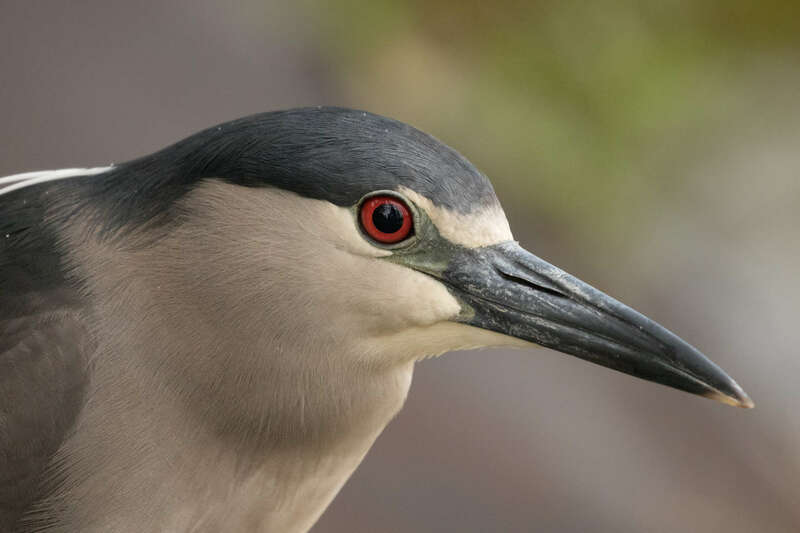 That bird is what I would call a looker.